Energetic, results-driven customer service associate with a year of experience and a track record of working well without supervision. 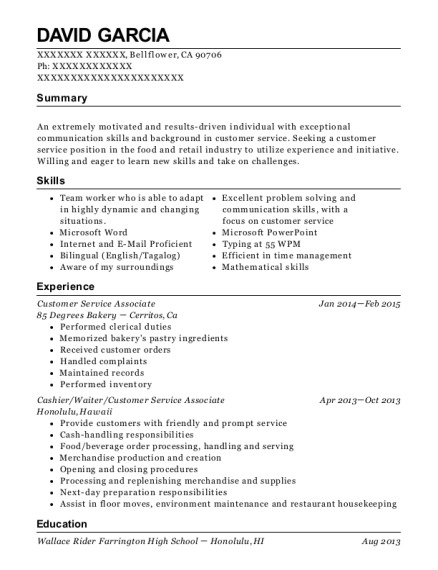 Proficient in conferring with customers to provide information about product or services. In-depth knowledge of principals and process of customer needs, meeting quality standards for service and evaluation of customer satisfaction. 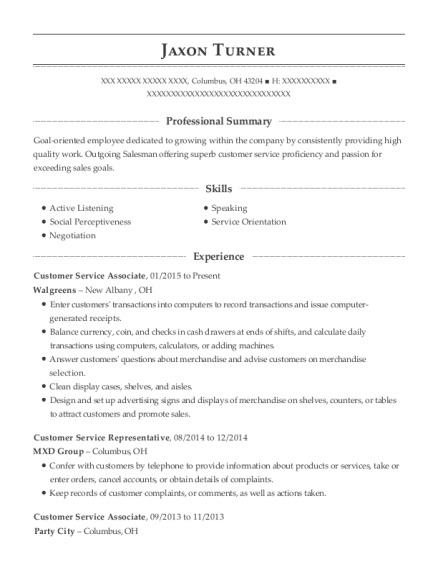 This is a resume for a Customer service associate in CANA, Virginia with experience working for such companies as Lowes and Caylor Nickel. 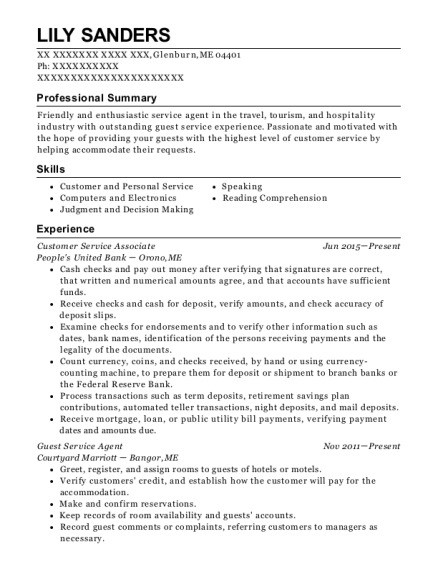 The grade for this resume is 0 and is one of hundreds of Customer service associate resumes available on our site for free. 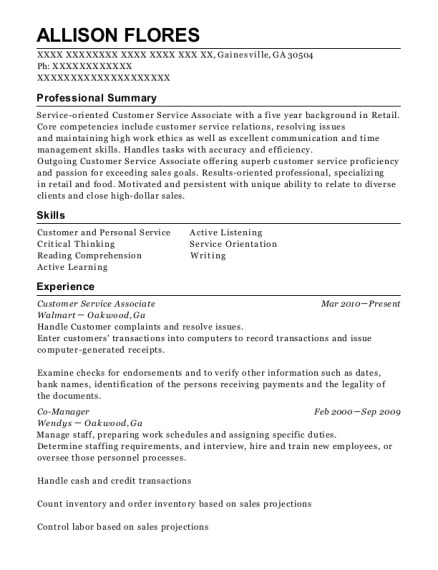 Use these resumes as templates to get help creating the best Customer service associate resume.